CP Automation and partner Energy Control Systems have launched transient dissipation filters (TDFs) for surge protection devices (SPDs). Millions of existing class I/II units in the field are not providing adequate protection for today’s microprocessor-based equipment. This product will provide an upgrade in protection without overhauling existing systems. SPDs are designed to prevent excess voltage appearing at the terminals of sensitive equipment. Class I SPDs protect electrical installations against direct lightning strikes, while class II SPDs are the main protection systems installed in an electrical switchboard. However, even a combination of these devices does not protect equipment sufficiently in today’s factory environment. The problem lies with low level transient surges, which are very damaging. As standard SPDs are voltage triggered only, they cannot account for these rapid changes in frequency. The new range of TDF devices give existing SPDs the ability to track the frequency of electrical current waveforms. With this improved insight, low-level transient surges in the electrical system can be detected and filtered before they harm sensitive equipment. The TDF device protects against the entire spectrum of surges encountered in today’s electrical environment and is not limited to the impulse surges originating from the power distribution system. 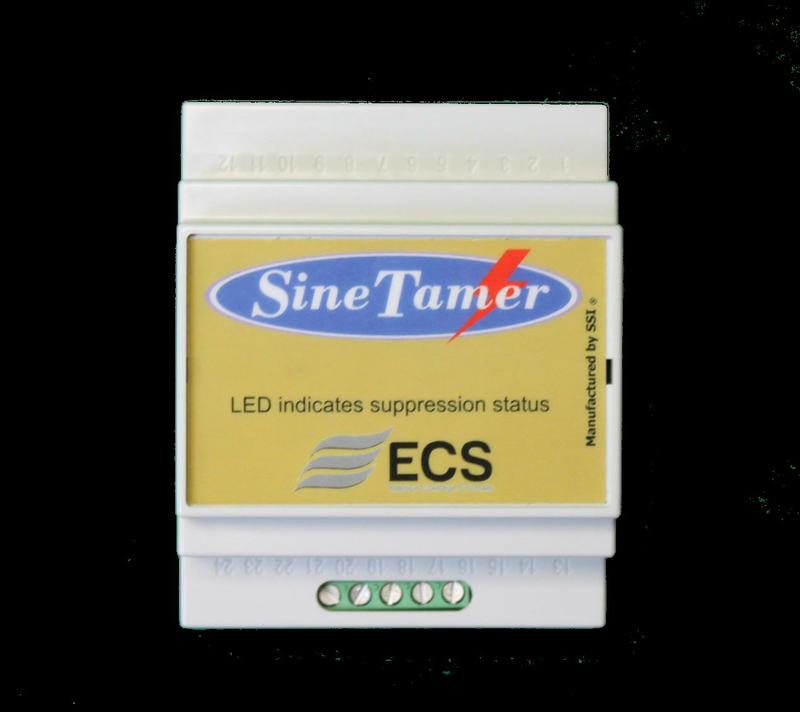 Transients generated in the local facility, or by lightening strikes, are all accounted for, unlike other surge protection devices that focus on just one type. The TDF range is 50% smaller than previous surge protectors from Energy Control Systems, making it an easy installation to add onto existing surge protection devices, such as surge arrestors.